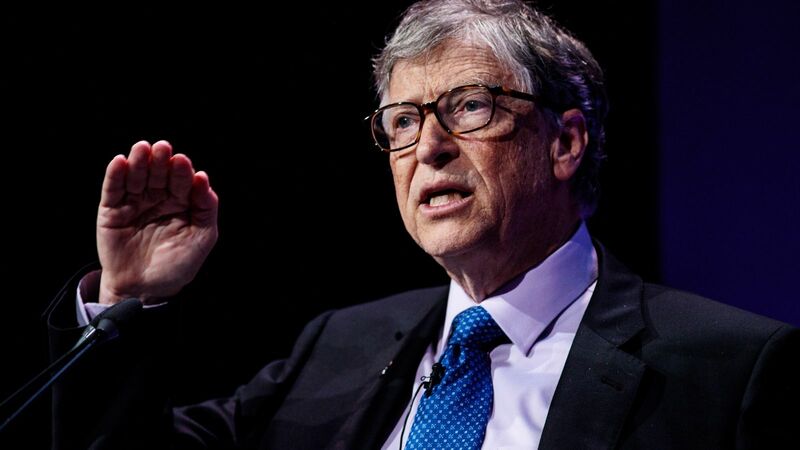 DAVOS, Switzerland -- Two giants of American business, Bill Gates of Microsoft Corp. and Andy Grove of Intel Corp., warned Europe's business elite Monday that they were falling behind their global competitors in harnessing new technology. Gates and Grove delivered the same message in separate appearances at the World Economic Forum, a gathering of world business and political leaders. Europe, they said, needs to wake up to the advantages of computer networks and hi-tech communications. "If you compete with companies that are heavy users of information technologies ... and you do not embrace that same technology, you will be beaten to the punch every time in terms of time and information use and effectiveness," said Grove, whose company is the world's biggest computer chip maker. "What we are really doing is we are building a technology deficit and we are passing this technology deficit along to future generations," Grove told a seminar on using information technology to stay competitive. Grove urged European leaders to head off this deficit by setting an example of using tools such as e-mail, Internet, company-wide networks and video conference links. "I have the honor to be talking (to) the technological, political and business elite of much of the world and particularly of Europe ... it is you that need to lead this activity." Gates, whose Microsoft is the world's leading software maker for personal computers, agreed that Europe lagged both the United States and some Asian countries in using computers, as well as in developing software. "Europe is quite a bit behind in terms of home use, it's somewhat behind in terms of business use," Gates told a news conference after three days of private talks with some of the almost 2,000 corporate, political and academic leaders at the annual forum. "There is progress. But if you take U.S. progress in using these tools and European progress, there are signs of an increasing gap," Gates said. Gates said he believed Europe's lag behind the United States as a software developer would narrow as investors discover opportunities in a slew of small firms now cropping up and as venture capital becomes more available. "But the gap is big enough that everybody should think about what can be done to encourage more software start-ups in Europe," he said. Computer industry analysts also say European companies have been slower to embrace personal computers -- and may be missing out on extra bits of productivity and profit. James Bates of London-based research firm Context said recently that 53 percent of European white-collar workers used PCs, while the U.S. rate is 90 percent. Grove said one problem was a scarcity of venture capital, or money loaned at risk, to give small hi-tech companies the sort of start that Microsoft and Intel enjoyed when they began. "There isn't enough of this because the (European) mentality is more banking oriented, and bankers are much more risk-adverse," Grove said.